The shot heard round the Mile Square City after the arrest of a Vote by Mail soldier inside the glorious campaign-loving confines of the Hoboken Housing Authority is reverberating. No one feels the single arrest to date is the finale. Finally, Hoboken made the grade and became worthy of federal law enforcement action, even though it hails back to its 2013 election. 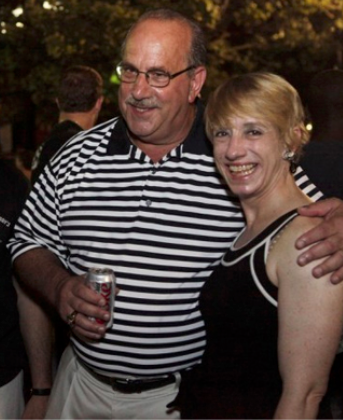 former Councilwoman Beth Mason in happier days. coined in her doomed 2009 mayoral campaign. Additional details of the alleged systematic vote buying have come to the fore and seen broader reporting adding to the original investigations published on this website in 2010. During that 2010 fourth ward special election, this website published findings where 79 of 80 "campaign workers" paid prior to the election submitted their votes by mail. Deemed an anomaly by none other than foul-mouthed behemoth David Cruz now with NJTV news, an investigation would land on the desk of the NJ Attorney General and see no further action. The festival Sunday on Washington Street typically features Frank "Pupie" Raia lumbering up and down looking for love from the masses. Not this year. He's reportedly MIA and not seen cavorting with his 2013 trainwreck of a campaign co-sponsor, the notorious former Councilwoman Beth Mason. The band will not be getting back together but a money trail of street money running into the tens of thousands of dollars unites the two going back years through the political consultancy Bluewater Operations. Many across Hoboken are feeling jittery and nerves are fraying. On the street, the chatter says more than a few are raising the white flag and "singing" to the Feds. The Old Guard band is on the run. The rest of this feature is MSV Premium content and will be emailed to members this week.